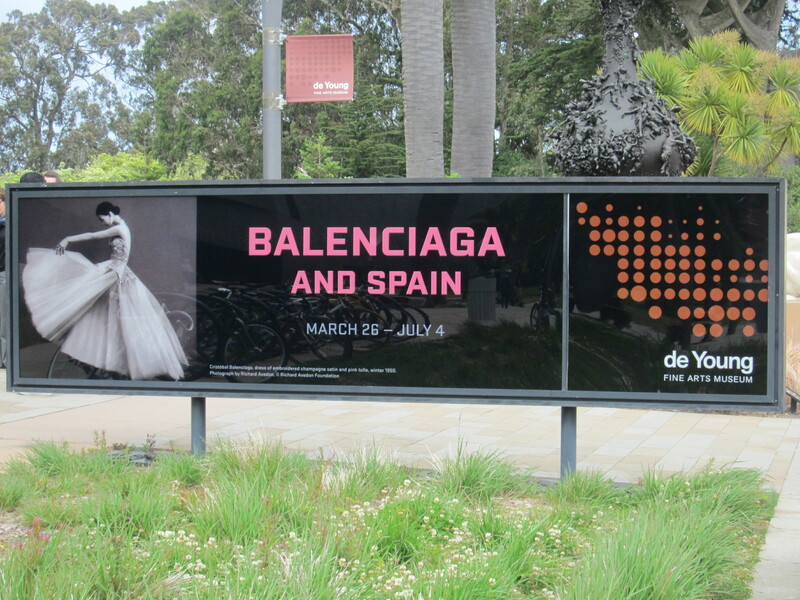 Attention, all girls who love high fashion and living in the SF Bay Area, head over to the Balenciaga and Spain exhibit at the de Young Museum. Cristobal Balenciaga was regarded as fashion’s Picasso. He worked in Paris and developed his fashion house there in the first half of the 20th century after fleeing his native Spain due to the Spanish civil war. 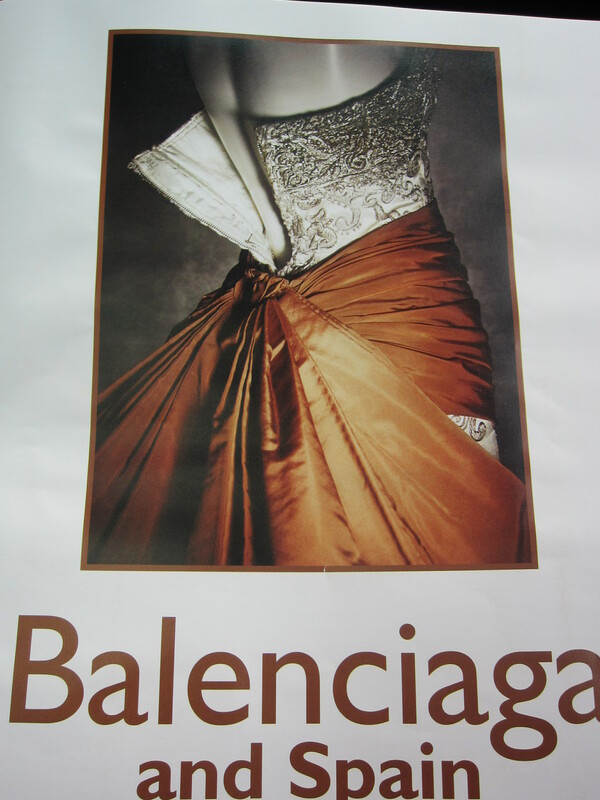 Fellow designers Christian Dior and Coco Chanel both proclaimed that Balenciaga was the true master amongst them. Don’t do what I did though which is to visit on a weekend afternoon, a Bank of America free museum weekend no less. While the Balenciaga exhibit still wasn’t free, it reduced the cost so I’m sure there was an even greater number of visitors compared to other weekends. It was hard trying to get through the crowds to get a close look of the dresses. There’s been much talk in the art world lately about museums putting on fashion exhibits. Are they selling out to the masses or simply recognizing that haute couture IS art? I believe it’s a mix of both. And hey, if fashion brings people out to a place where they wouldn’t normally visit, that’s a great thing. The first area, where dresses representing different Balenciaga’s different styles and periods were lined up, was kind of like a primer that got you ready for the second area. The inner room is really where art meets fashion. First, Balenciaga’s flamingo inspired creations were shown against a backdrop of flamingo outfits, paintings and music. Then, some of his most opulent and extravagant designs were set against historical Spanish paintings, clearing showing how the fashions of 17 and 18th century Spain (such as those worn by the thirteenth Duchess of Alba) influenced Balenciaga. Balenciaga was ahead of his time. In his designs I saw the slim lines of Calvin Klein, the bubble skirts that were all the rage a few years ago, the boxy jackets of Channel and the crazy sculptural designs of Alexander McQueen. 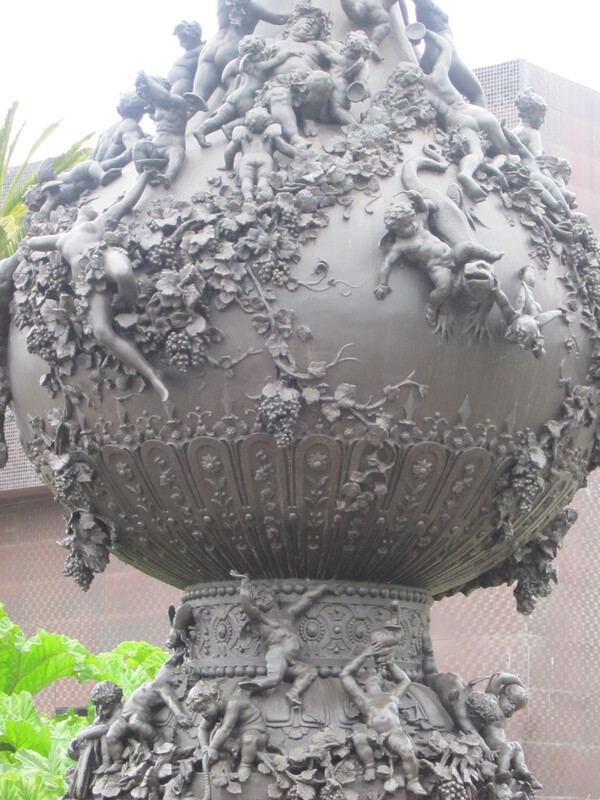 Walking out of the de Young, I thought that this bulbous sculpture was quite interesting, like a scene from Dante’s Hell but where the people are stuck in a flowering garden instead. Beautiful but with a dark underpinning. Kind of like the fashion world today. I went to this exhibit also. Loved it. I like it more than the other ones they put on previously although I enjoyed each one for their uniqueness. The only one i did miss, and wish I did not, was the one for YSL. Great post! Yes I really enjoyed it. I love going to Friday night events at the de Young. I was extremely sad to hear of the museum’s director (John Buchanan) death recently. I hope someone as visionary as him continues on with bringing such wonderful exhibits to the museum! Oh, that’s so sad. I didn’t know… Yeah, I hope the same… I heard the next show coming is Jean Paul Gaultier. I wonder if the Madonna cone bra will be there. LOL. He’s work is a bit out there for me, but still enjoy it. Have a great day!